According to your needs; you may be applying for a short term loan or a long term loan. A short term loan is typically repaid within 12 months or less and a long term loan is repaid within 12 to 60 months. A short term loan is usually anything from R500 to R5 000 and is perfect to fix emergencies and financial obligations that do not need a large amount of money to attend to. A long term loan is perfect for starting a small business or assisting your business with a financial boost or anything else that may need a large amount of money such as home renovations. Whatever your heart desires you can be sure that you will have the right loan for you. Telephonic and Legal Advice Assistance Plan. Available for R429 for the first month and R99 per month thereafter. 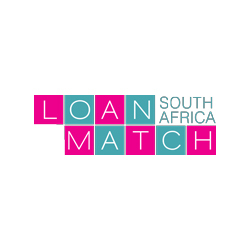 Matching you with the correct loan by providing at least 2-4 loan providers matching your description and leaving you with the option of choosing the best one for yourself. They will find you the right loan. You can apply on their online platform or via telephone. Get a loan from R1 000 to R500 000 depending on your application details and credibility. Telephonic legal advice depending on the package that you choose. Be permanently employed by the same employer for a minimum of 3 months.